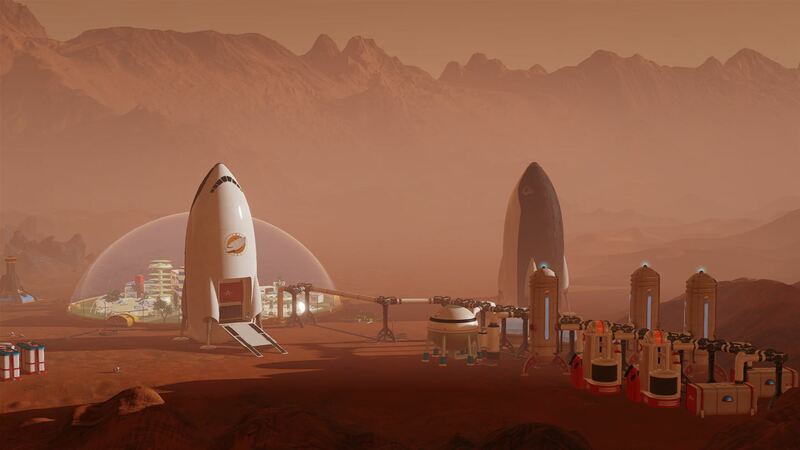 There are many things you need to begin a successful colony on the Red Planet, from mountains of money and resources to a firm grasp of engineering, physics and production management. Also, a manual. A manual would be really good. Swedish outfit Paradox Interactive, however, believe that the best way to learn the ins and outs of colony construction is to fail over and over again until you suddenly don’t fail, and then go from there. Initially, Surviving Mars is tooth-breakingly frustrating. Even the button presses aren’t telegraphed outside the hard-to-read tooltips, so I found myself accidentally building stuff and having to demolish it, or running out of resources because at the time I didn’t realise I could refuel my landing shuttle and send it back to Earth for supplies. But I’m getting ahead of myself here; let’s go back to the menu. Selecting “Easy Start” gives you just that, dropping you onto Mars in a sector full of resources and backed by the International Mars Mission, a sponsor whose limitless funds define the game’s Easy Mode. Everything is dialled to Easy with this choice, in fact, which makes it a good shout for beginners. The “New Game” option is more versatile. From this menu you can select a sponsor from a roster of backers that made me think immediately of XCOM. Different sponsors such as USA, SpaceY, China and Russia offer different bonuses and perks, even identified as Easy, Normal and Hard. You can then modify various other options such as your company logo, the name of your shuttle and your “Mystery”, which is the storyline that unfolds throughout your game. There are loads to choose from, such as finding ruins on Mars or fighting off a rival organisation, and they add a decent amount of replayability. From the moment you touch down, you’re busy. A fleet of cute little drones take care of construction and resource gathering, but it’s up to you to build power sources, water extractors, moisture farms, resource extractors, refineries, and oxygen recyclers. Everything you build consumes resources to run, so you have to maintain a continuous chain between nodes (which are irritatingly scarce) and depots. Over time, pipes will spring leaks, buildings will become caked in red Martian dust and require maintenance, and your precious resources will dwindle away. Once your rocket is refuelled you can send it back to Earth for a resupply, or you can request another to ferry cargo up to you, for a price. Maintaining power is the only thing you’ll need to worry about to begin with, but you soon begin constructing your first Dome, which requires air and water as well as power. Even before the Dome is up, maintaining an influx of supplies, fixing everything that breaks, establishing supply lines and generally expanding to where the new nodes are is like running two full-time jobs. At least at this point, if you let something slip, it’s relatively easy to put it right. Once you bring people into the equation, it’s a whole different game. With the construction of your first Dome, you can request colonists. While they take some serious looking after, they’re the only way to mine certain resources or run factories. 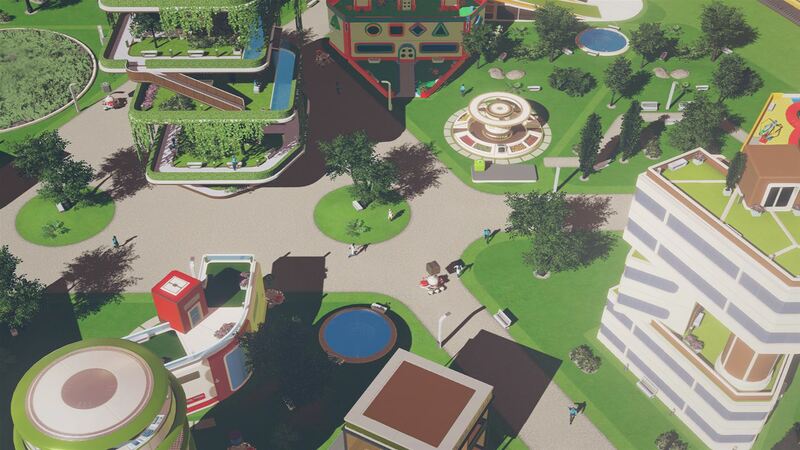 You can request building prefabs from Earth, but you can’t make them produce complex parts without people to put their noses to the grindstone. You should always have research ticking away in the background allowing you to develop things like wireless power and better social interaction for your colonists, but improving their quality of life or the efficiency of your solar panels is only of use while everyone is still alive, which in Surviving Mars is always a precarious position. From natural disasters like meteor showers to technological breakdowns, danger is always lurking, adding an air of genuine dread to Paradox’s game that you don’t normally find in city-sims. If your oxygen farm goes down, for example, or you lose power and everyone starts dying of hypothermia, it’s a real edge-of-your-seat moment. After you’ve invested in labs, schools, play parks, casinos, and living quarters, watching your citizens die horribly one by one due to your incompetence is a big ask. Although you can speed up the passage of time, there are moments where you’ll just be watching your colony work and waiting for resources to accrue or research to finish. When you’re witness to your whole world falling apart and waiting desperately for a shuttle to arrive with concrete, it’s painful. But when it’s all ticking and you’re sitting back watching all your drones and workers going about their busy business, it’s incredibly satisfying. 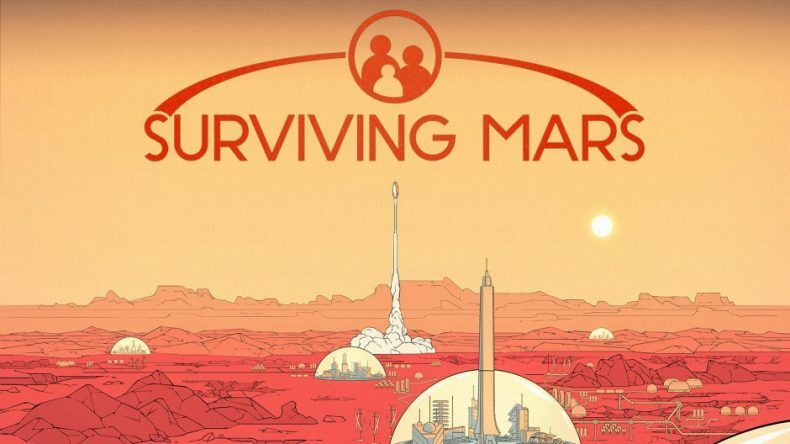 If Surviving Mars launched with a proper tutorial mode it would be easier to love, but my initial impressions were so muddied by the frustration of the opening hour that it kind of left a sour taste in my mouth that took a while to wash away. The balance also needs a tweak, as I found that every time things started to go wrong, the ensuing snowball effect would have me close to rage. Quite possibly, that’s down to my own uneven skill level. The nicely rendered and geographically accurate game world throws enough at you to keep you almost permanently on your toes, and the few moments of peace and efficiency are so rare that they immediately instill a false sense of security that inevitably leads to panic when Mars does what Mars does. 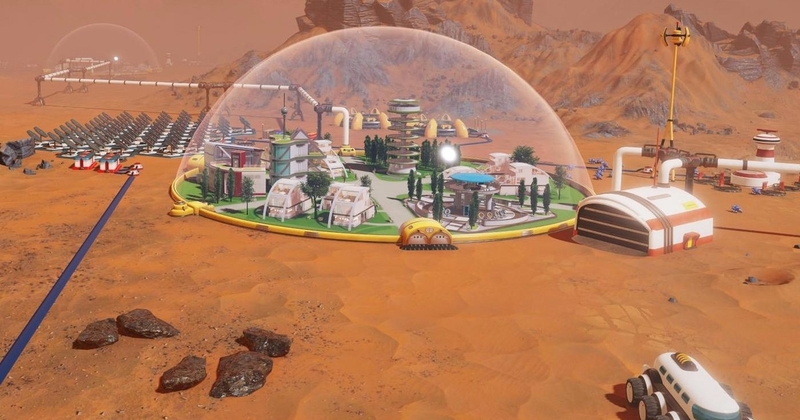 But once you manage to get to grips with the many mechanics and, possibly, find a kind of harmony between the gathering, building, and keeping people alive, Surviving Mars reveals a solid, rewarding sim. An addictive little colony sim held back by inconsistent difficulty and stingey tutorials.